Naval & Industrial Solutions (NIS) struggled with their paper reporting process — which made it hard to efficiently file, locate and edit reports. They recognized that, to become the leading coatings inspection company in the Latin American market, they needed to find a way to take their reporting process paperless. The goal was to spend less time on reporting and complete jobs faster to see better returns on their work. As an inspection company that does their reporting entirely in Spanish, no off-the-shelf reporting software would do. They needed a software company that could configure reports and offer training and support in fluent Spanish. NIS turned to TruQC in order to minimize reporting time and improve field-to-office communication. TruQC’s bilingual capabilities helped ensure their team’s success in adopting and utilizing the app day to day. Tank inspection times reduced by 50% — from a full day to half a day. Inspectors can instantly attach photos to reports — rather than tediously importing them in Word or Excel. Bilingual support from the TruQC team enables NIS to always get the help they need to get the job done. TruQC transformed stacks of paper reports into a cloud-based, searchable file cabinet. TruQC is a paperless reporting app designed to transform your proven processes into secure, digital workflows. Plus, the TruQC app and the support team behind it specialize in serving both English- and Spanish-speaking organizations, making it the perfect reporting solution for NIS’ needs. Adopting the new software into NIS’ reporting workflows came with a learning curve at first. The initial training and bilingual support provided by the TruQC team, however, helped the NIS team quickly learn and adopt TruQC into their day-to-day routine. TruQC’s Project Managers worked with NIS to configure inspection reports and coatings surveys to each client and project’s needs, ensuring the software provided the most value to the NIS inspectors. 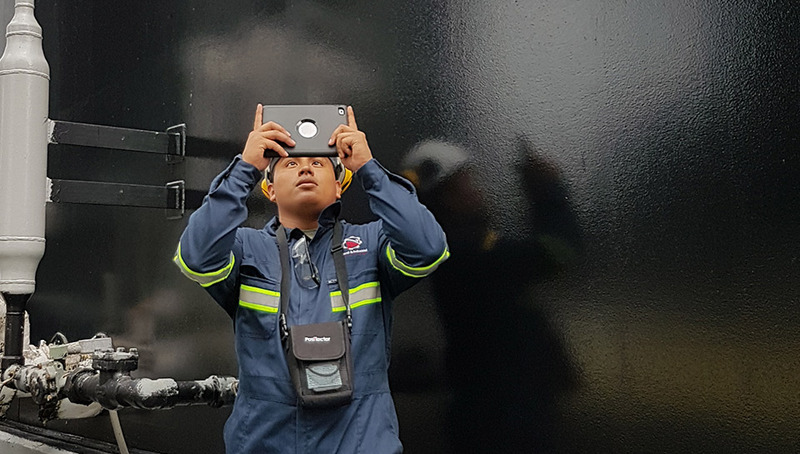 Juan Caballero, President of NIS (SSPC Master Coatings Inspector/NACE CIP Level 3 Bridge & Marine), credits TruQC as being incredibly user-friendly for inspectors in the field. When an issue does arise, he says TruQC’s customer support always resolves it quickly — even on holidays. 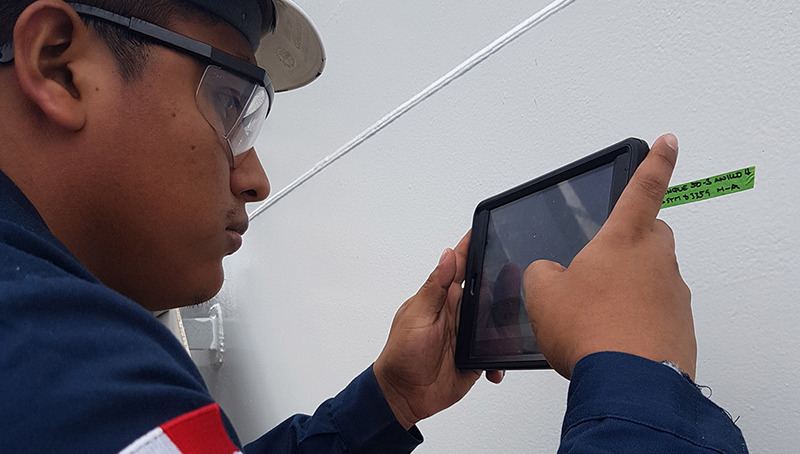 NIS’ field inspectors —who use the app entirely in Spanish— now complete inspections faster and more accurately with office employees overseeing all projects in real time. Inserting photos into reports is simplified with TruQC’s iPad camera integration, saving time over trying to embed a photo into an Excel or Word document. Tank inspections that used to take a full day can now be done in half the time and accessed by administrators immediately. That’s a 50% reduction in inspection time, directly affecting NIS’ bottom line. The benefit of TruQC is about more than reducing inspection time, though. Caballero said that NIS is more confident in their inspections now that he can better manage field inspectors. With TruQC, he can give inspectors feedback on their reports as they are being completed. If there’s a simple issue, Caballero said he can fix it himself. When he needs to reject an inspector’s report and have them correct it, he can easily communicate that within the app, saving significant back and forth time. Once reports are approved and complete, all data can be accessed and queried in TruQC’s secure, cloud-based file cabinet — rather than searching through stacks of paper reports. Overall, NIS is now able to complete, correct and approve inspections faster and more accurately with improved communication between the field and the office. Regardless of your organization’s continent or industry, TruQC has the potential to drive efficiency in your reporting process. Let’s talk about how our team can configure our software to fit your proven reporting workflows.